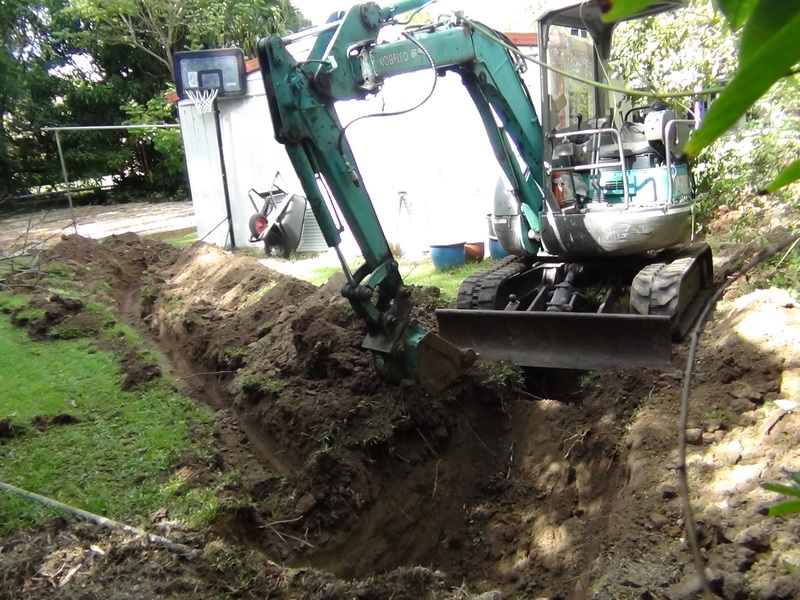 The client had a property under contract which was subject to drainage rectification in order to pass the council and building inspection. 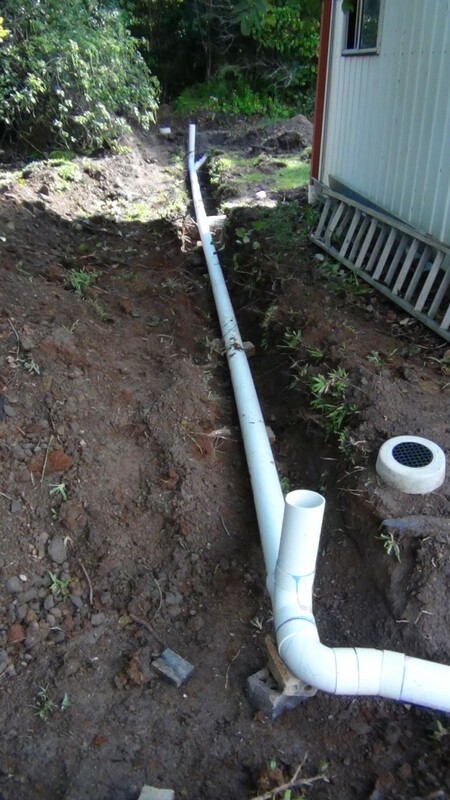 A storm water pit had to be dug and piped to the gutters. It also had to take the overflow from the water tanks. A trenches had to be dug and the best way was by excavator. 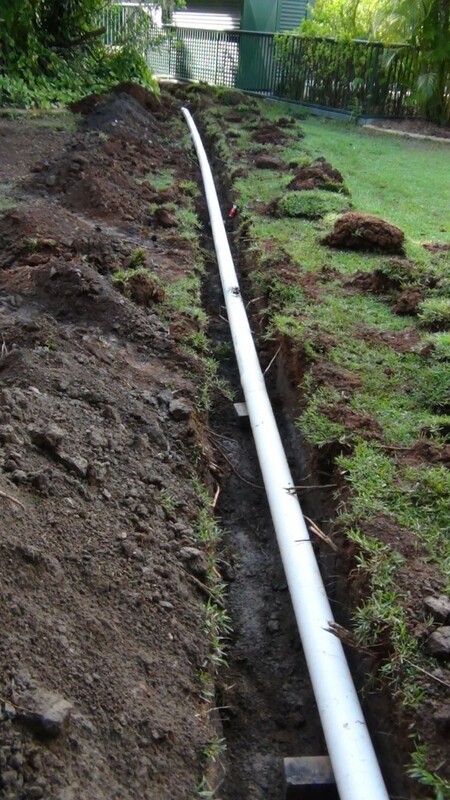 Once the trenches were dug and the pit was excavated the pipes were laid and connected. 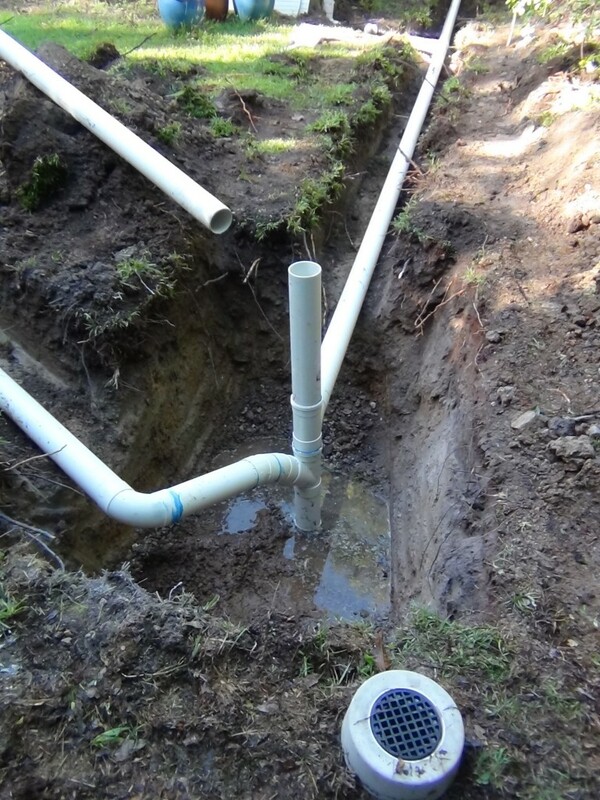 100 mm PVC pipe needs to be used as 90 mm storm water pipe doesn’t meet standards anymore. Plumbers pals were installed as an out let and an inspection point. 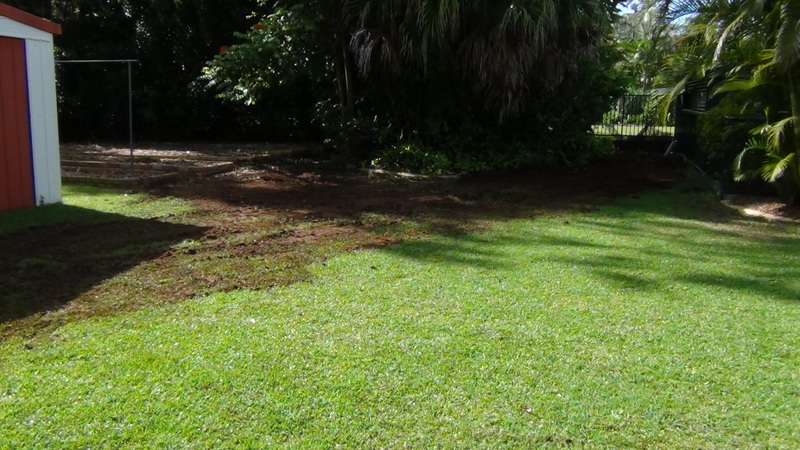 Once the pipe work was fully connected and the levels tested I back filled and compacted the soil and laid the turf back in place. Here is a photo to show you the end result.